They have apparently enjoyed a holiday fling while filming TOWIE in Thailand. 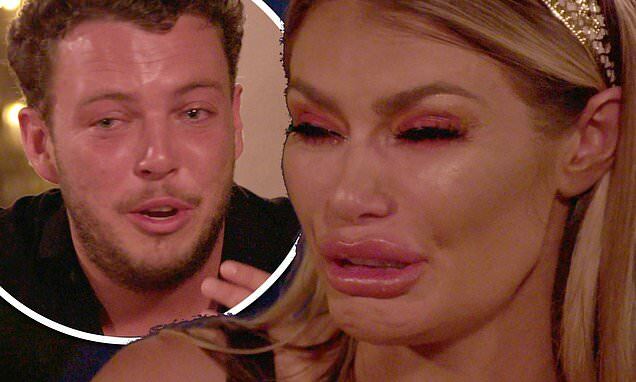 But Chloe Sims broke down in tears during a conversation with her close pal Diags when she learned that not everyone is in favour of her shock romance with newly-single Dan Edgar, following his split from Amber Turner. In scenes set to air on Sunday, the reality star, 36, asks her friend for his opinion on the developing romance between the two pals, but the conversation quickly becomes tearful. Although it is yet to be revealed why her friends don't approve of her fling, it is likely because they are also friends with Dan's ex Amber, who is thought to be seething over the news that Chloe and Dan have hooked up. Elsewhere, Dan seeks advice from Georgia Kousoulou on his developing feelings for Chloe, which seems an unlikely move for Dan who previously kept tight-lipped on his feelings for Amber during their on/off relationship. Dan and Chloe are set to come face-to-face later in the episode where it will be decided whether they plan to end their relationship or take it to the next level.